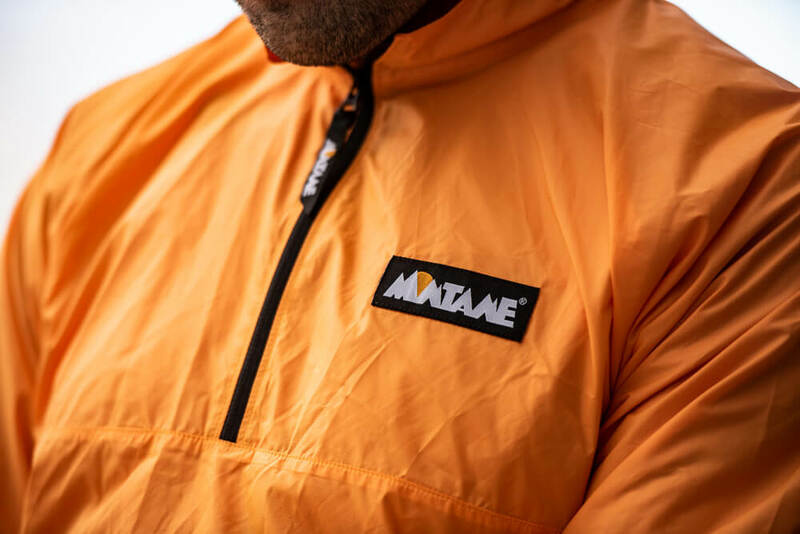 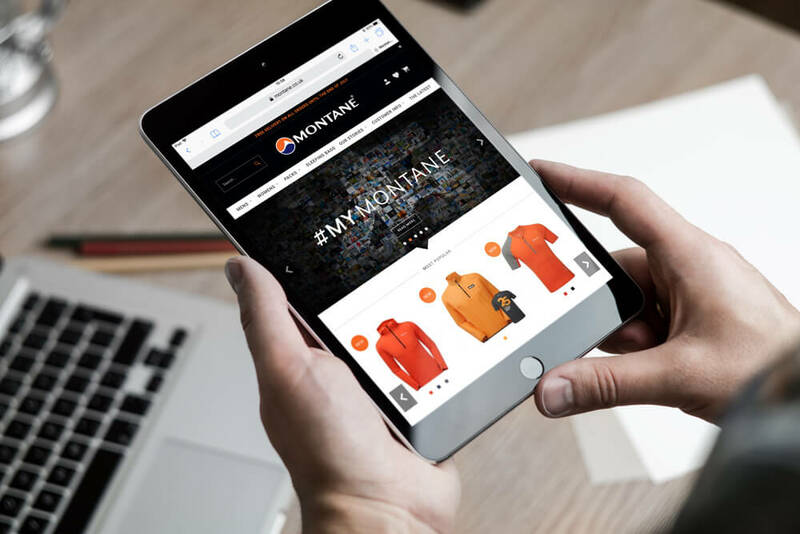 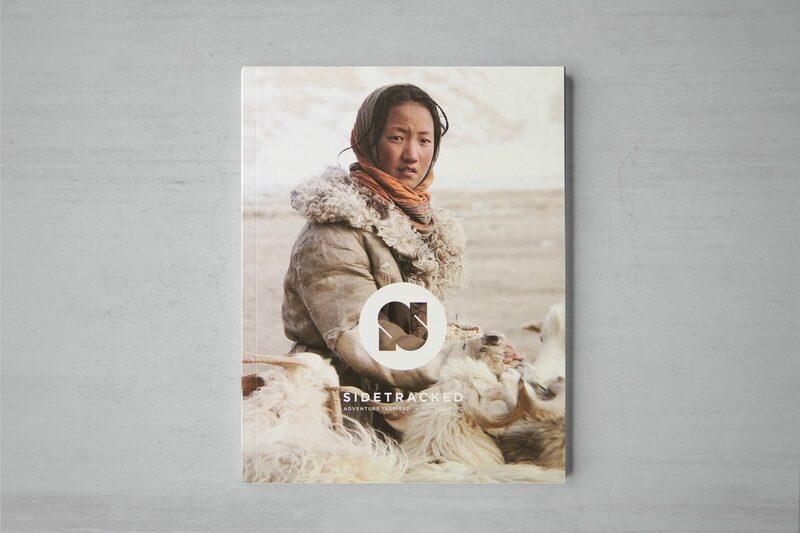 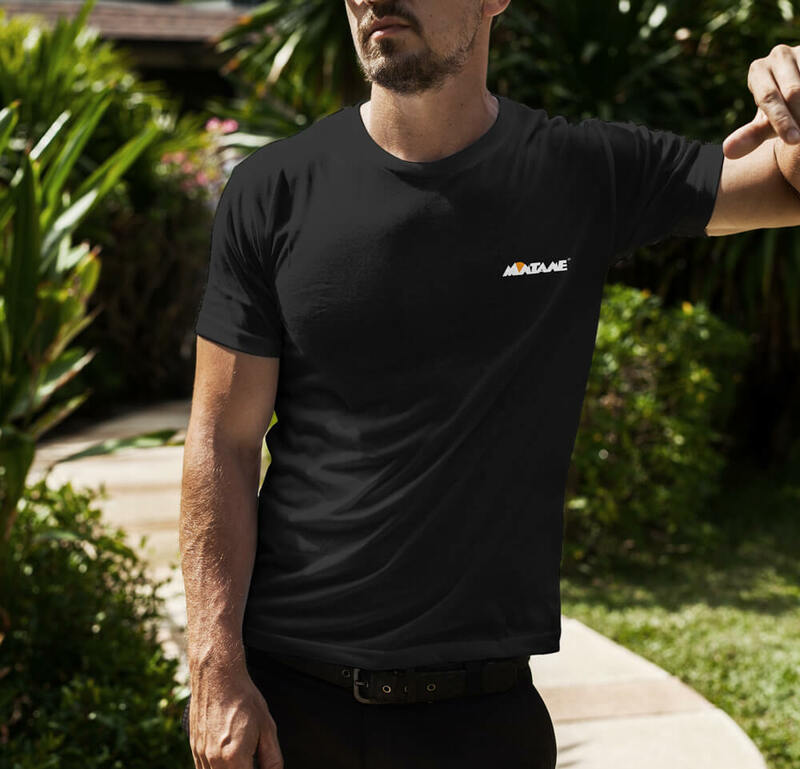 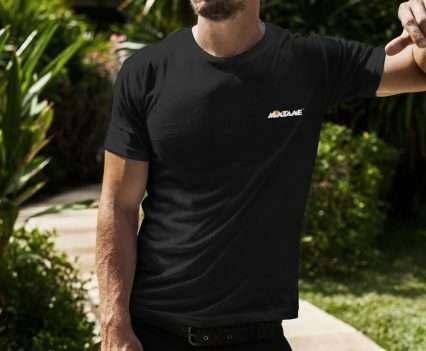 To create a multi-media campagin using consumer-generated content based upon users favourite Montane kit and showing their ‘brand love’. 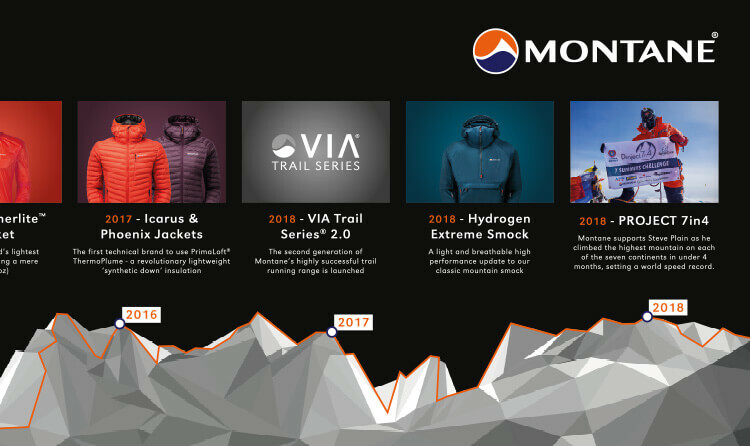 These shared stories, photos and videos were aggregated on the Montane website using the hashtag #mymontane. 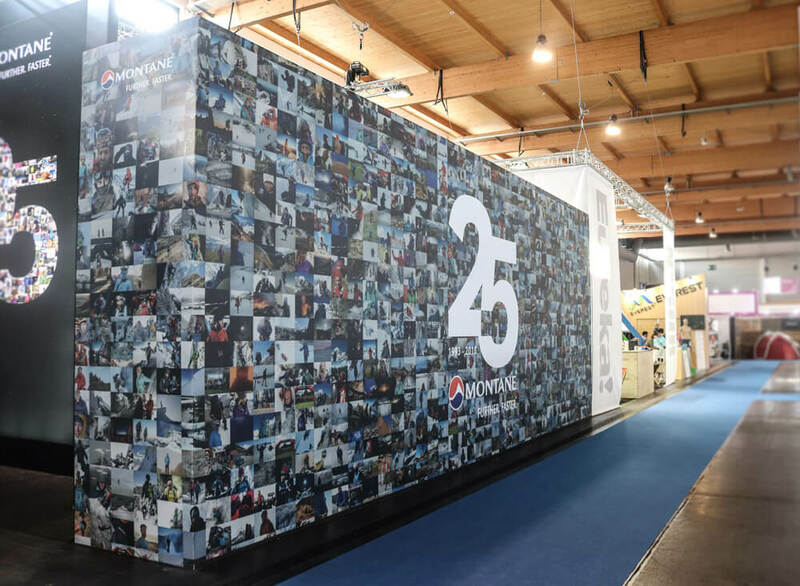 We also created a clear and distinctive ’25’ icon that would be used to anchor the whole campaign around ’25 years of Innovation’. 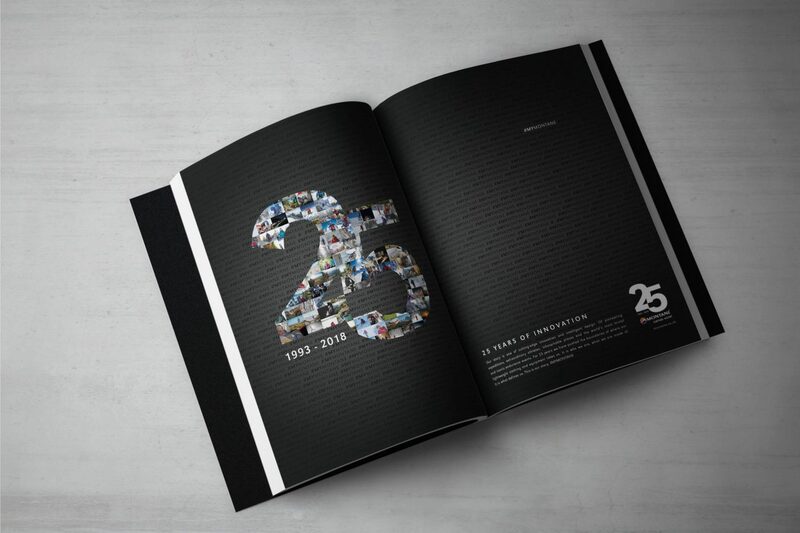 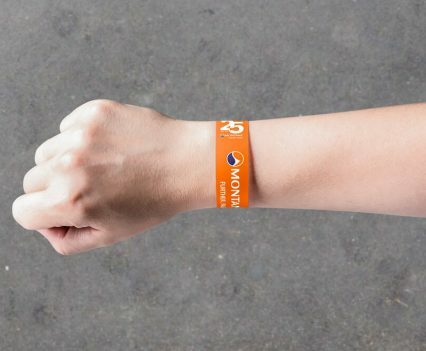 This core graphic was then spun out across multiple digital platforms as well as printed advertising. 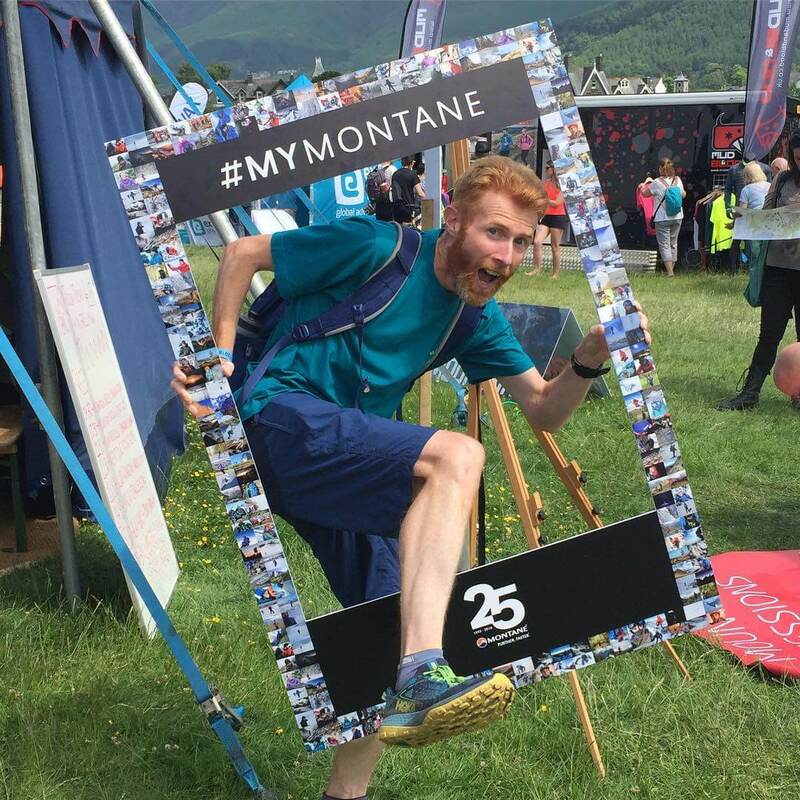 A selfie photo-frame was created and taken to various races and events to encourage consumer engagement. 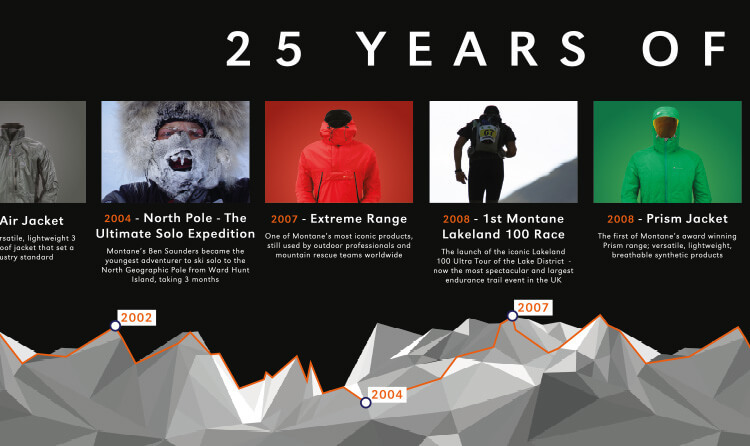 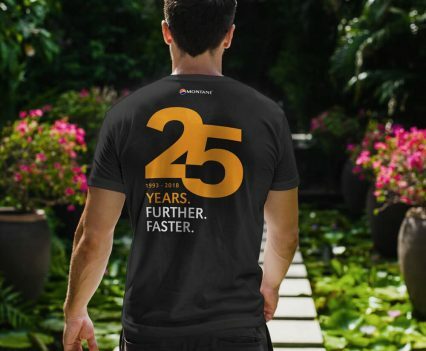 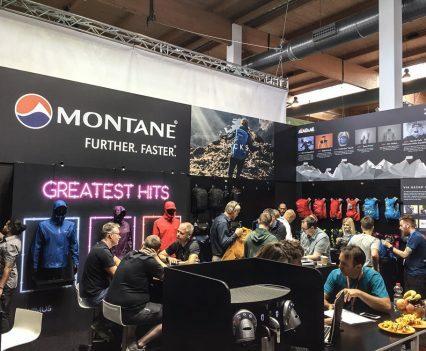 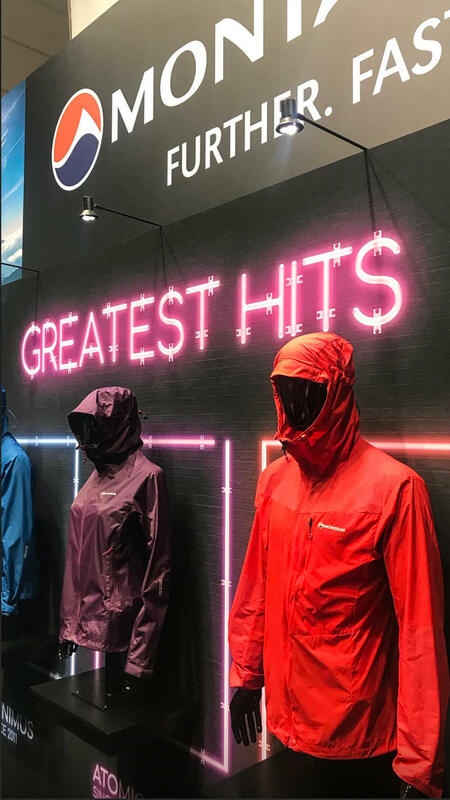 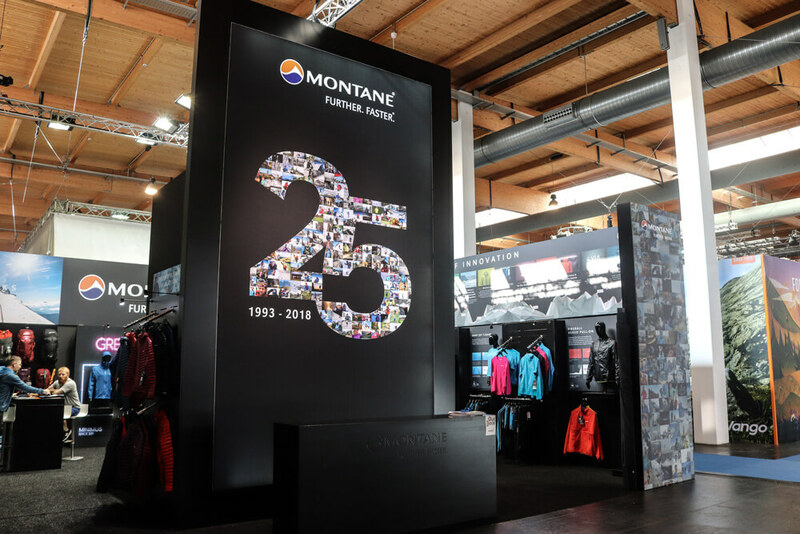 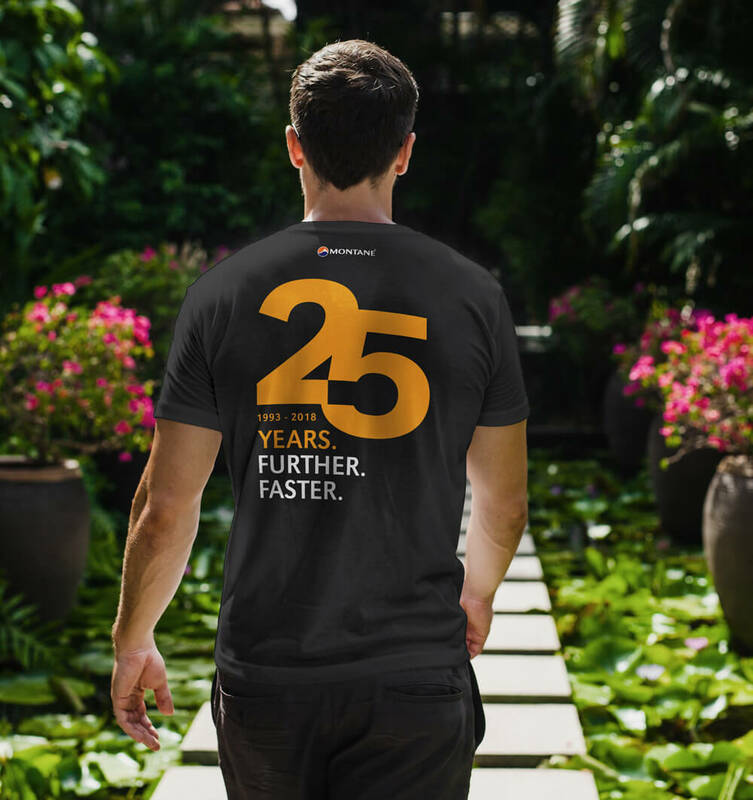 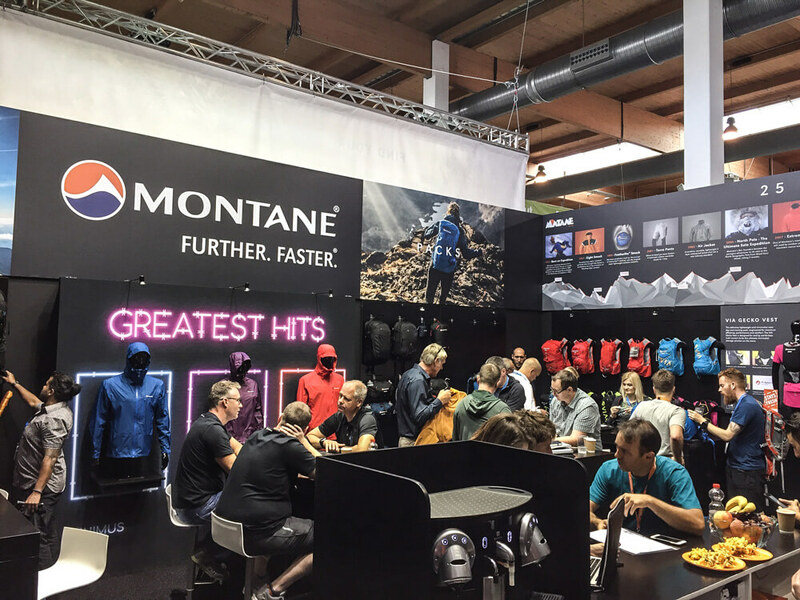 The ’25 years’ campaign was the central theme used on Montane’s stand at the OutDoor 2018 trade show in Germany. 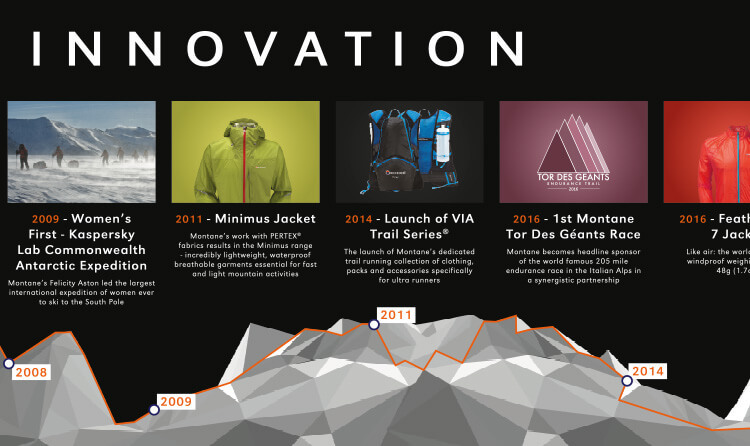 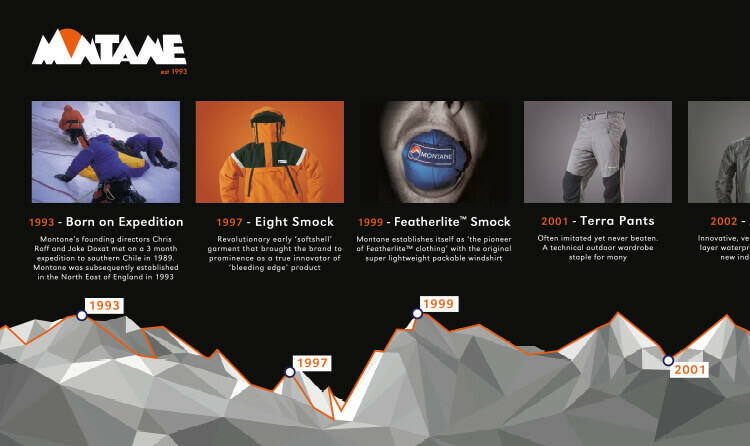 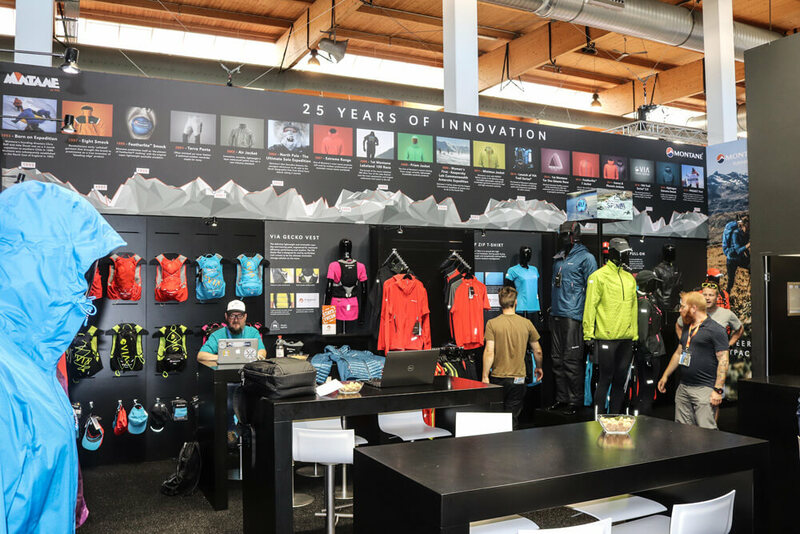 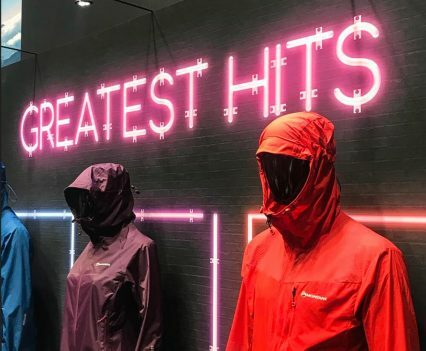 We created a huge feature wall made up of hundreds of photos showing Montane products in real-world use across the years as well as a stand-wide infographic based timeline that visually highlighted key Montane products over the last 25 years. 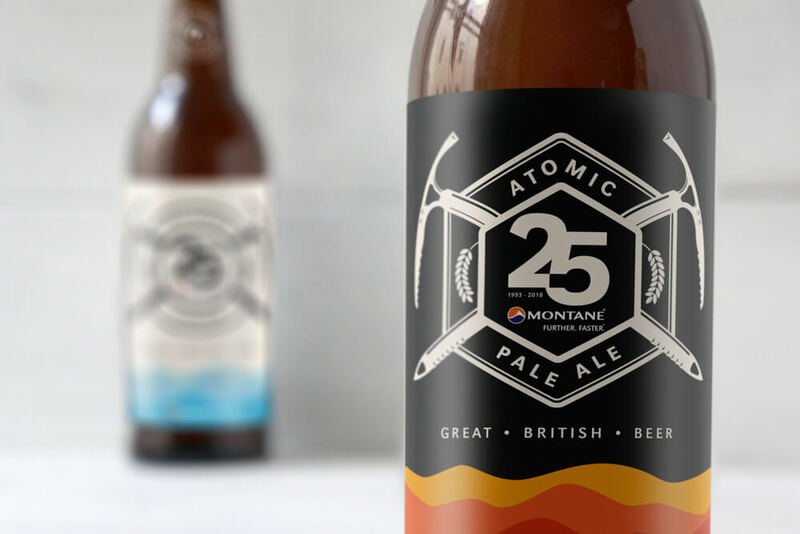 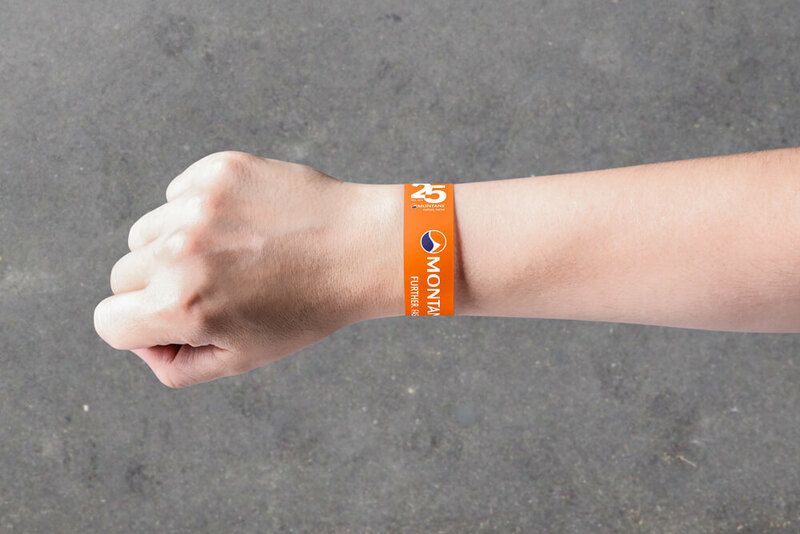 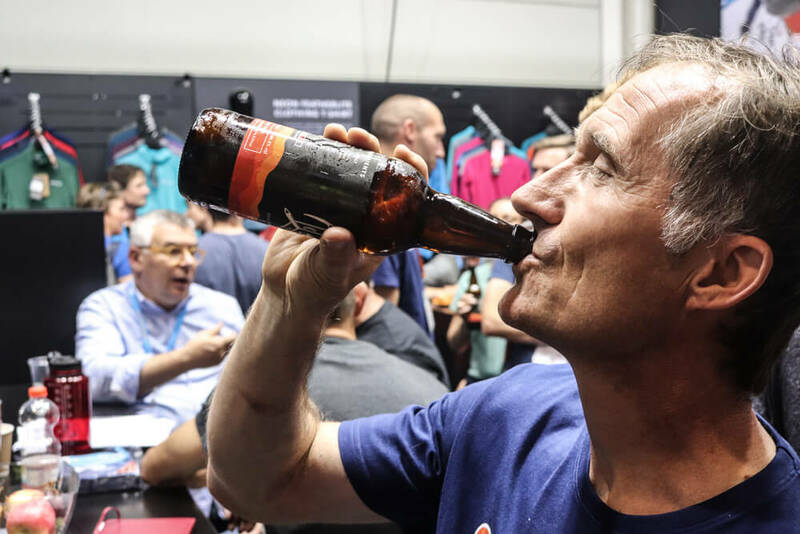 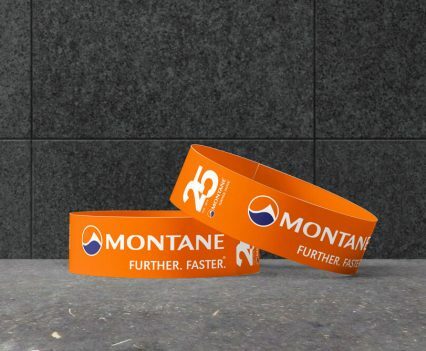 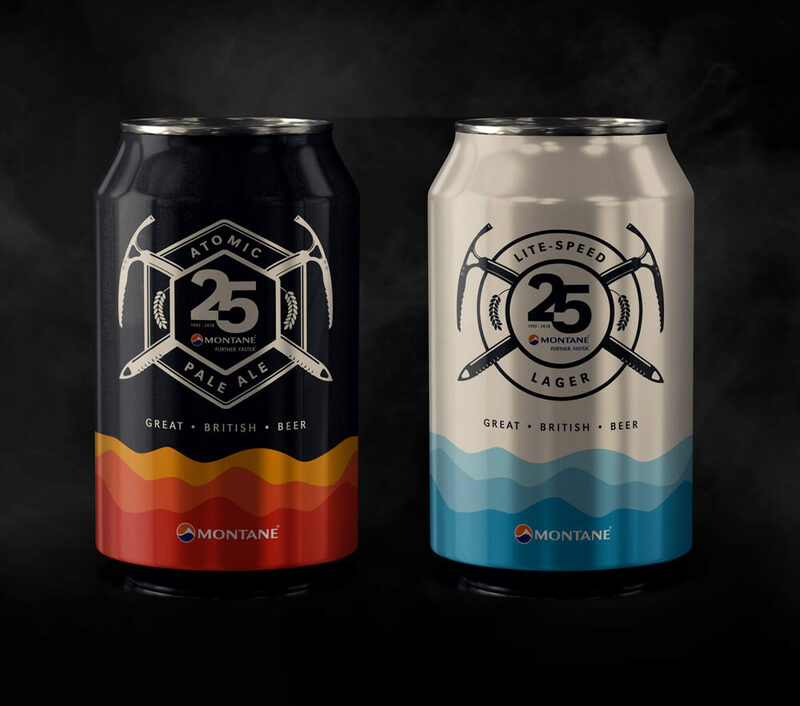 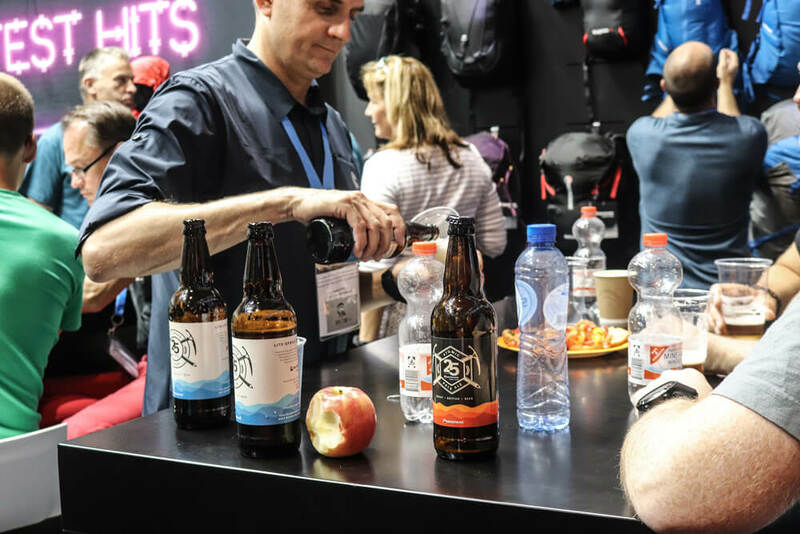 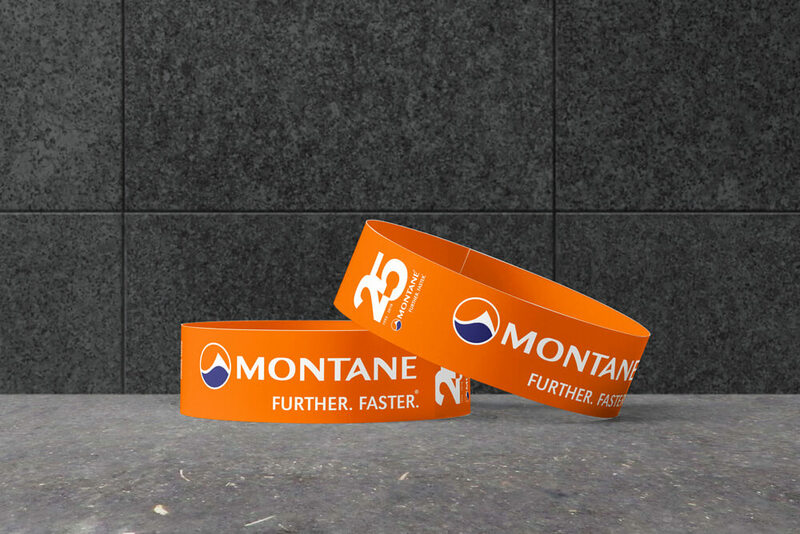 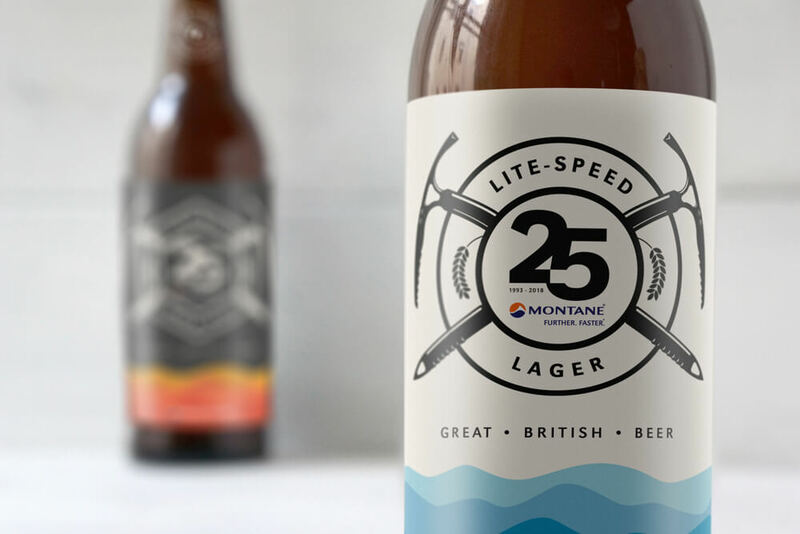 During the event Montane hosted a birthday party that featured more ’25’ themed products and promotional items and we even got to design labels for their branded beers.